Please take proper safety precautions when dealing with electronics and soldering. Have proper ventilation and a clean work area. Research basic soldering technique if in doubt. I cannot be held responsible for any damages that could occur to you or your equipment while following the procedures present on this Website. This page is being overhauled. Some of the pictures are from older RGB AMP revisions. Do not worry. 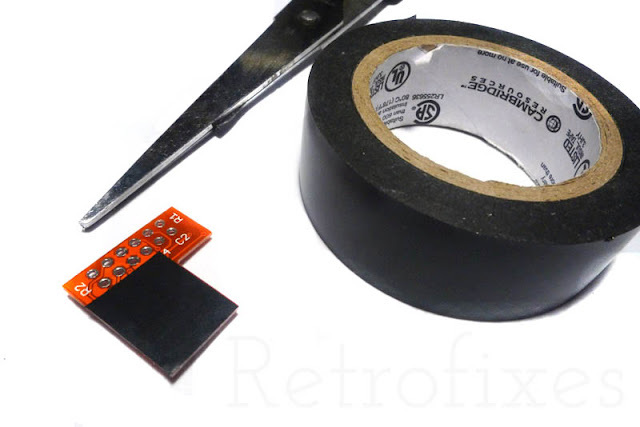 The installation instructions below will work with the current RetroFixes RGB Kit. - Soldering iron & solder. - Small piece of electrical tape. 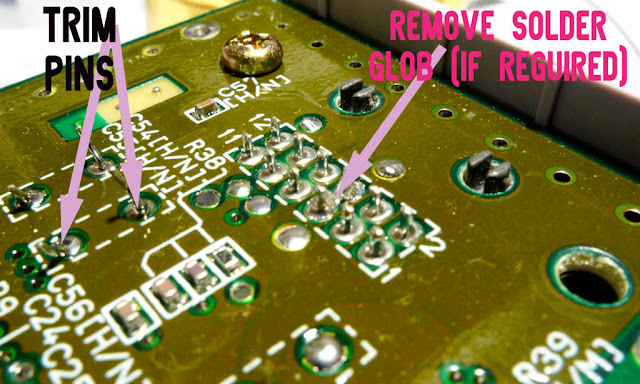 Read this Awesome "Soldering is Easy – Comic" for Basic 101s of soldering click here. This jumper will set the sync type. My kit will ship with the Jumper "open" and is attenuated for 75 ohm Csync. 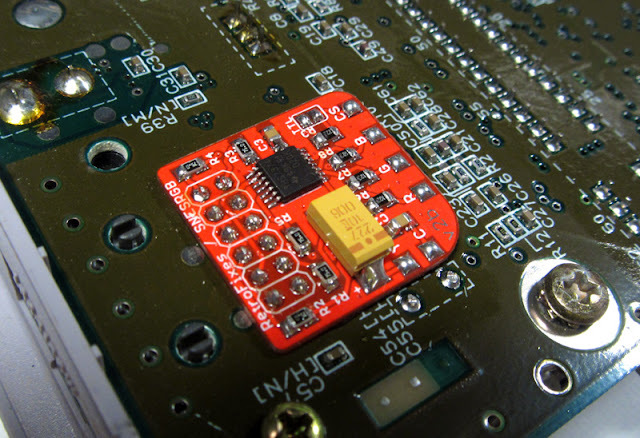 If your cable attenuates TTL C-Sync to 75Ohm please solder the TTL jumper closed. Shorting the TTL jumper will restore the C-Sync signal back to a TTL logic level. 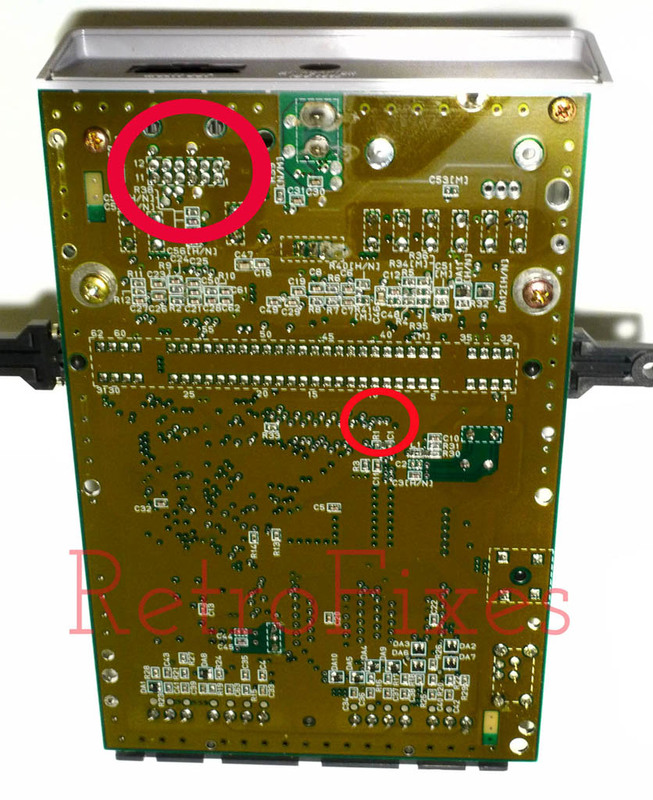 Before doing anything unplug the consoles & turn the power switch "ON" This will discharge the internal capacitors. Start by removing all 4.5 bit screws from the bottom side of console. Next Remove all visible screws from the motherboard. 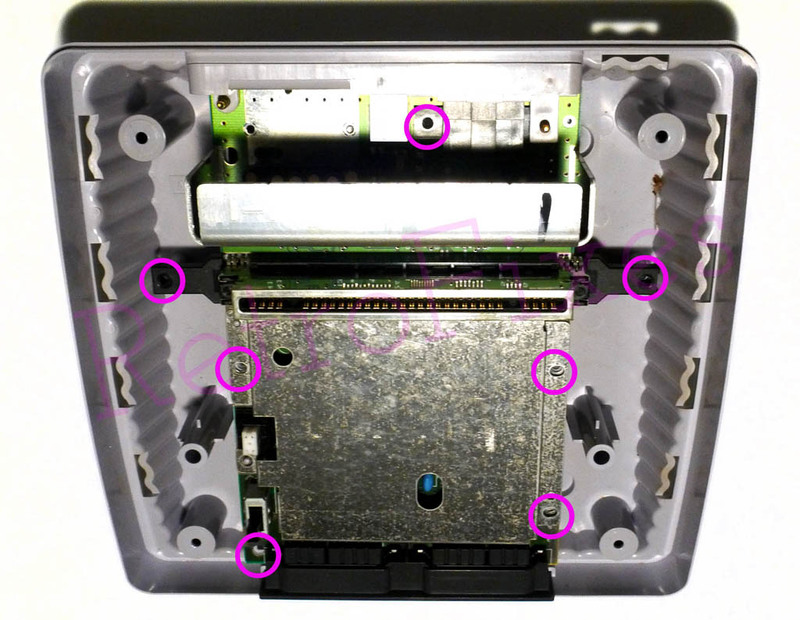 Make note of different screws sizes, the larger silver screws secure the game slot and rear multiport. All other screws surround the board. Locate these areas on bottom of motherboard. Next, solder the amp to the multiout pins. 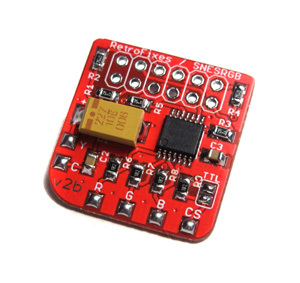 Simply solder all the 12 pins as shown below. Note: I ship kits with 26awg wire. Measure and cut the 26awg wires to proper length and solder them to the corresponding pads on the Amp. 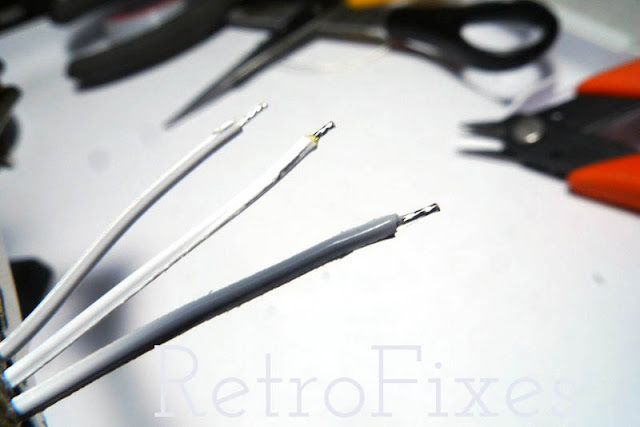 Strip the wire and slightly twist the strands. Next add a small amount of solder to wire tip. This is called "tinning" your wire. Very important step and makes you installation cleaner and more reliable. This location is very important, study it closely before soldering. CS, Red , Green, Blue are found here. 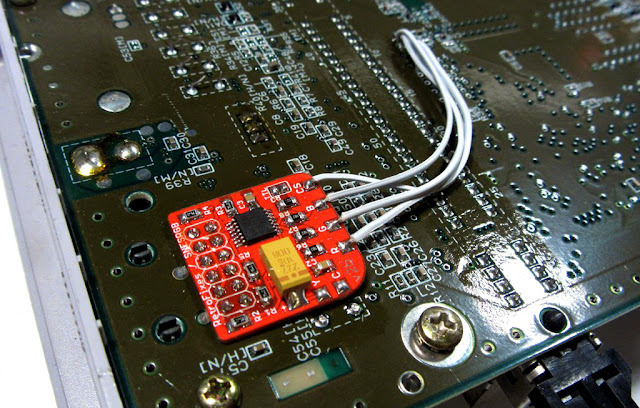 Example of wires soldered to amp. Make your wires short as possible. Honestly my wires could be a tad shorter in the example pic. 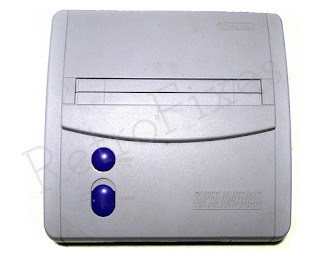 Locate the SNES "S-RGB" chip located on top near the Heat-shield. 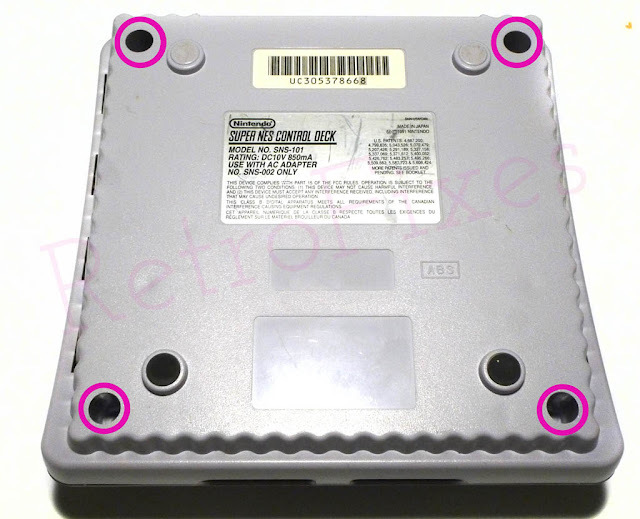 Removing the Heat-shield is necessary and it is held down with 3 screws. 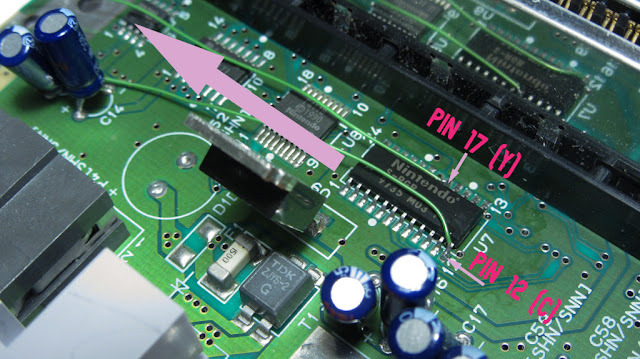 Locate IC Pins 12, 17 & on the chip. Use the photo as a guide. 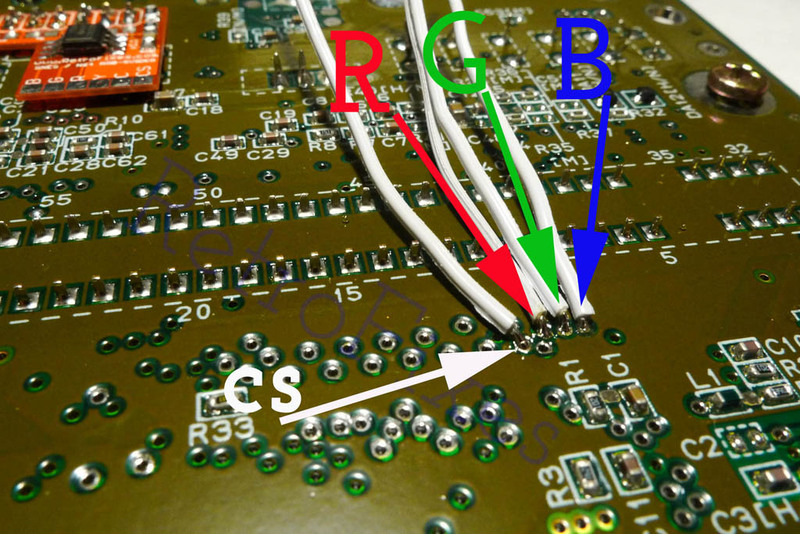 Make sure to guide your wires to the left side (shortest path) and wrap around and under to the RGB amp. Caution: When reinstalling the heatshield do not crush your wires. 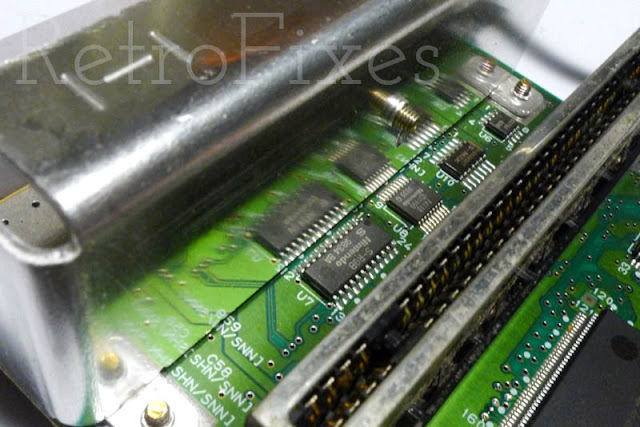 Solder your 2 wires to the Y & C pads on the SNES AMP. That's the basics of installing RGB amps. 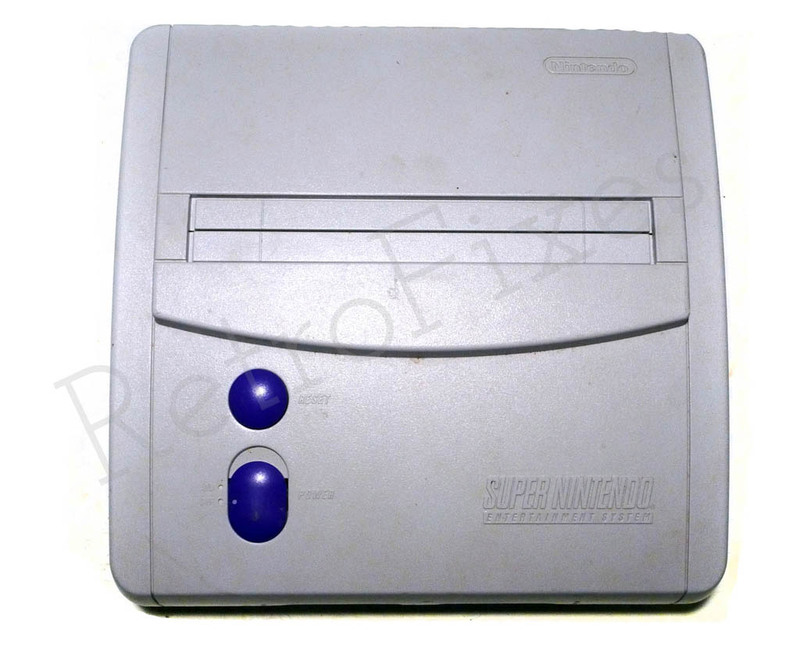 Make sure to reassemble the heatshield & RF shielding and all the SNES motherboard screws. Pay careful attention to wire locations and do not crush your wires during assembly. Test and Enjoy. If you have any issues we are here to help.